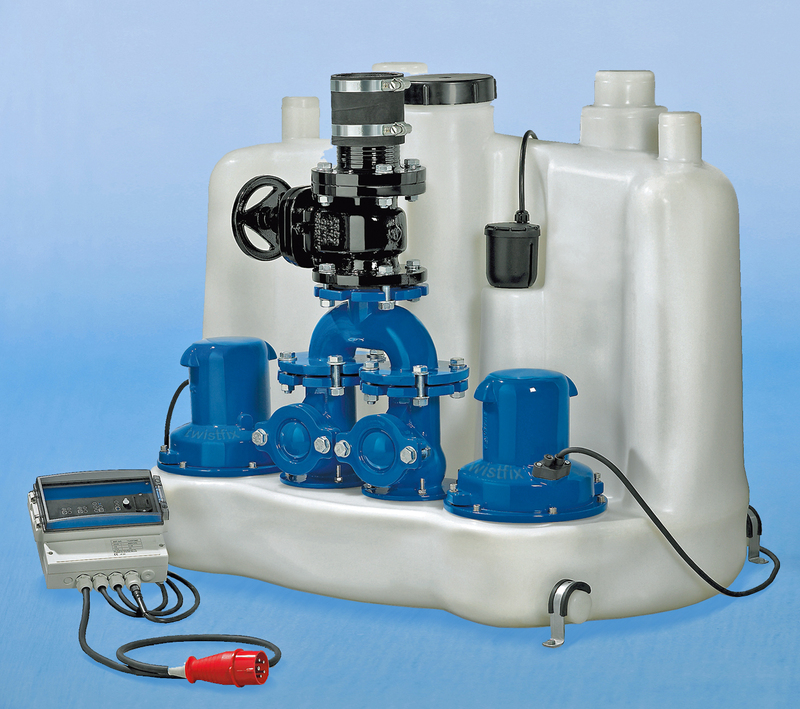 Atlas 2002 is a high powered floor mounted pumping station delivering high output and flow rates. 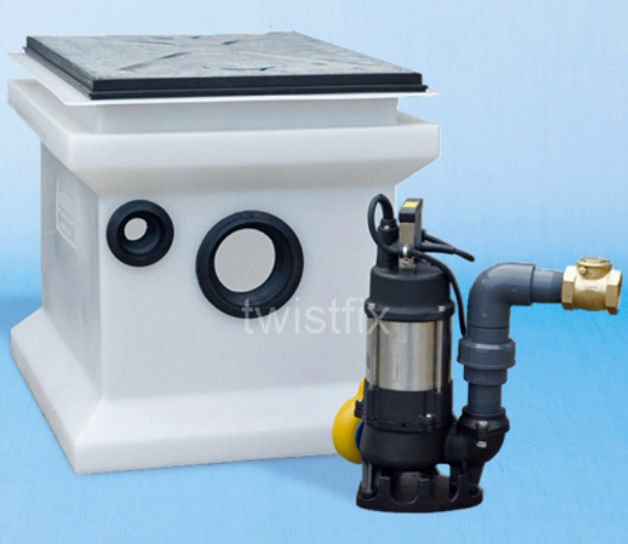 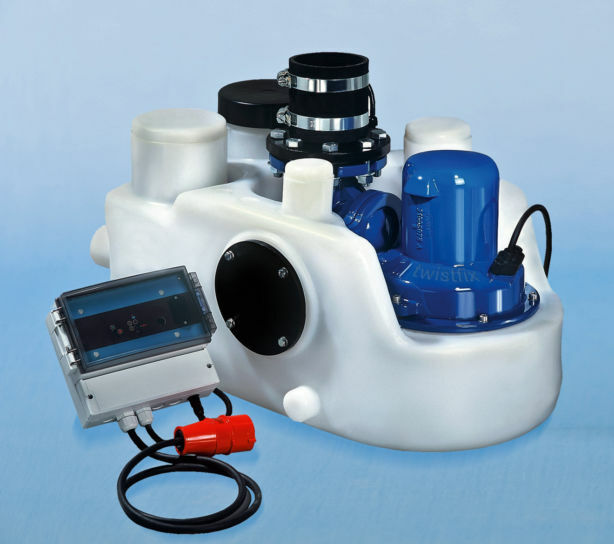 The twin pumps are suitable for pumping sewage and waste water to a much higher level when gravity drainage is not available. 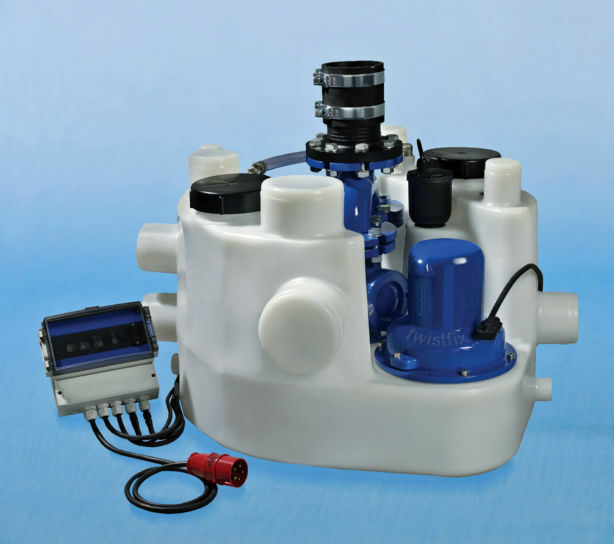 The Atlas 2002 system has a polyethylene tank with two built-in vortex pumps and an electronic control panel. 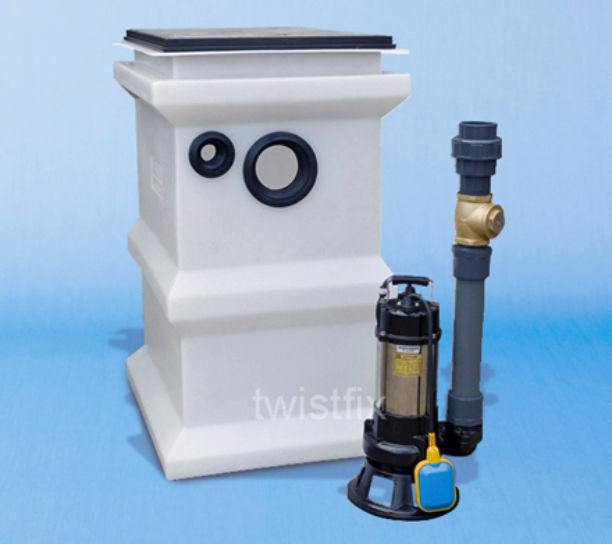 This twin-pump pumping station has a number of inlets available at varying levels and sizes, which can be cut on site.